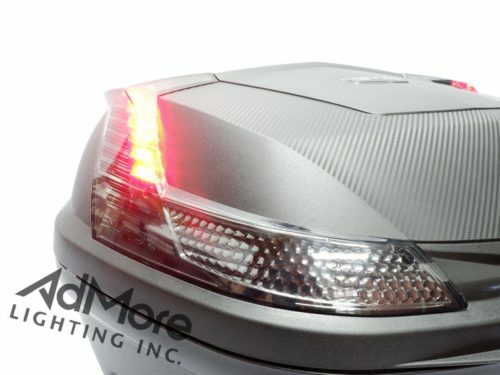 E360 / E460 TOP CASE - LED KIT (TS) - AdMore Lighting Inc. 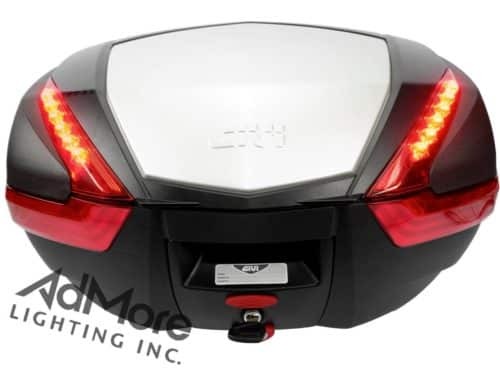 The LED360 / 460-T-TS is specifically designed for the GIVI E360 and E460 top case. Each kit contains two high intensity LED light strips that fit perfectly behind the original red lens of the E360 / E460 case to give you and your bike great wrap-around visibility! 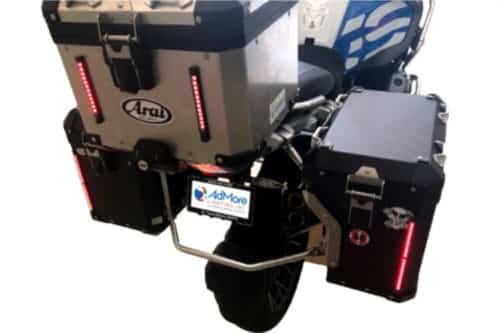 The mini controller embedded in the custom harness allows you to connect the light kit to your bike’s tail and brake lights and turn signals! The case lights will always be on when riding, the lights will brighten when you apply the brakes, and each of the case lights will flash with your turn signals. 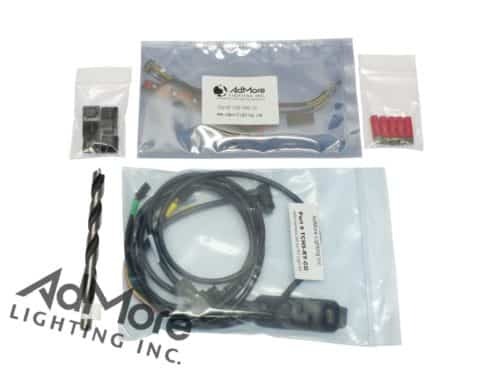 With this kit you receive: two (2) high powered LED light strips, one (1) mini controller (with turn signal functionality) embedded in main wire harness, wiring and weatherproof quick-disconnect connectors, and detailed instructions with guiding pictures. Installation is easy and can be done in an hour or two using basic tools! 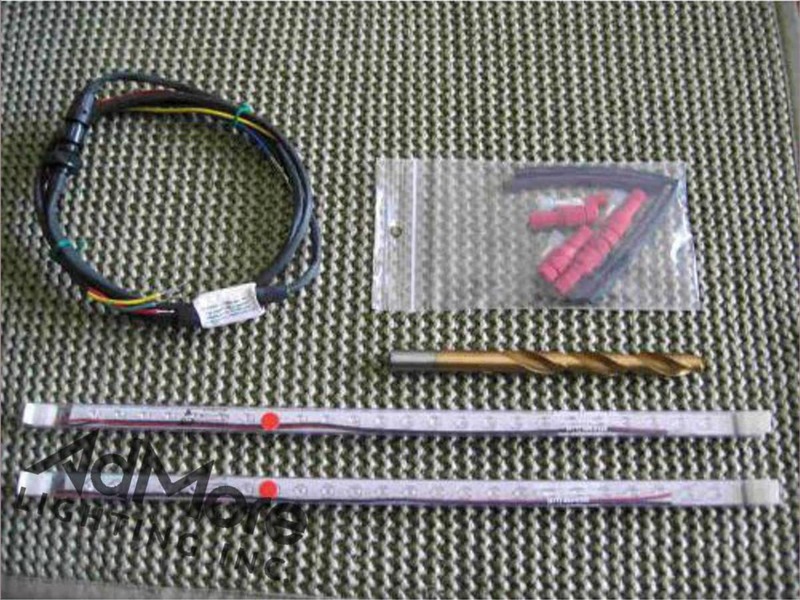 You will not ride unnoticed with this light kit installed in your E360 or E460 top case! 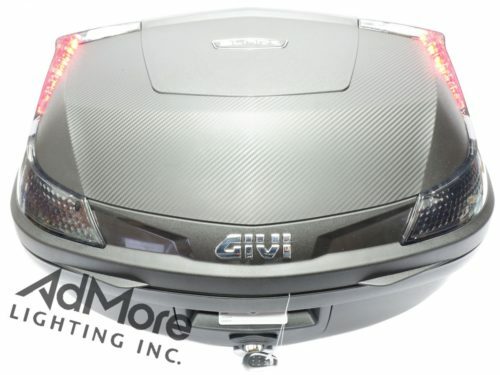 Already have the GIVI E460 light kit? 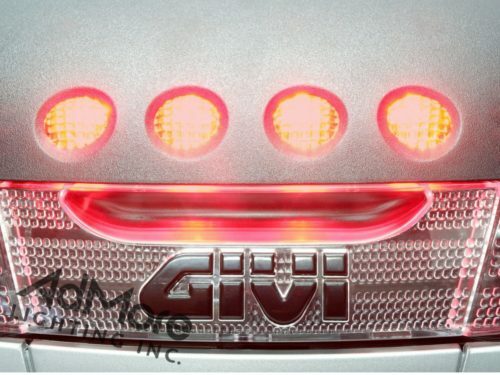 Want a much brighter brake light with a continuous running / tail light in a kit that uses little power? 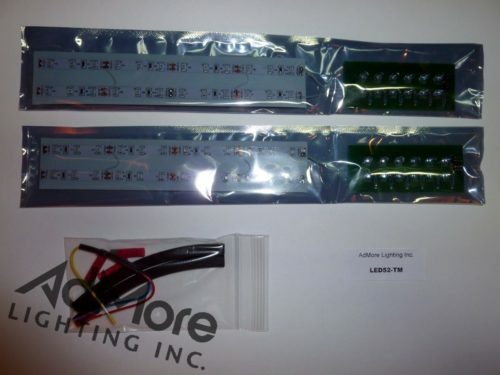 Order our LED replacement kit with brake / tail controller for just $79! New! 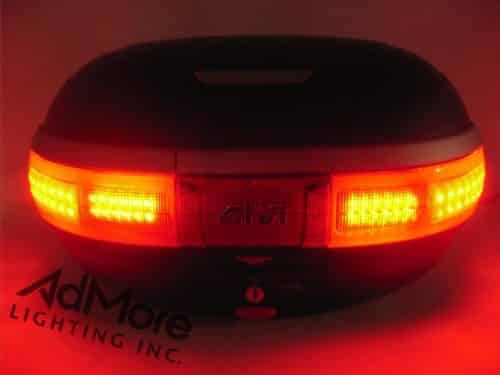 We now offer a light kit for the E360 and E460 cases with bi-color (Red / Amber) LEDs. Tail light and brake lights are red, turn signals are amber! 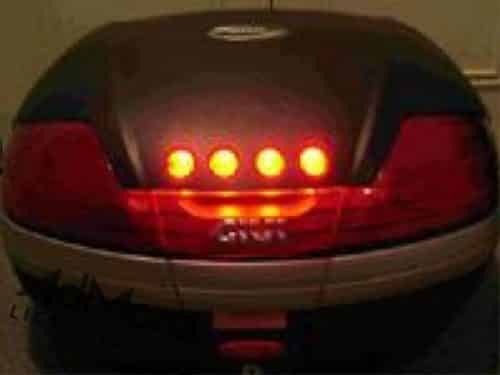 I love this LED light kit for my Givi 460 topcase. It’s super easy to install. Good instructions. 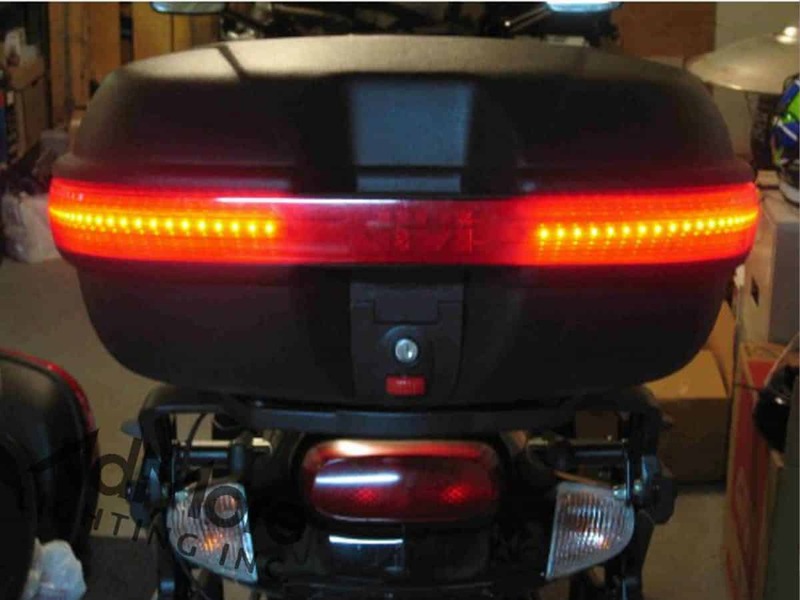 Looks great on my 1987 Honda Helix CN250 scooter… I already had the brakelight kit on my GIVI topcase, but happy to have the additional visibility with the extra lights, especially when hooked up to the turn signals. Looks cool too! Instructions and photos did not reference my E460 case they were for another case but I was able to figure it out. Looks great with the LED360/460-T-TS light kit installed and illuminated. Thanks again for the great customer service! I have a 1993 Katana 1100 with 87,000 mile on it. I ride my bike mounted with GIVI E360 bags almost every day.